Heartbroken, Sophia began practicing under the shade of the linden tree and the wind carried her songs to far away places. 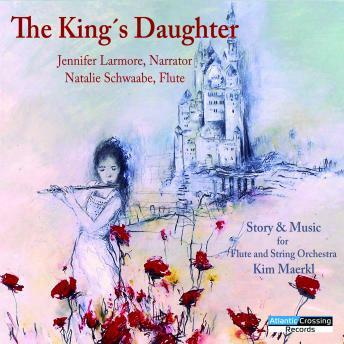 The poetic story is brought to life by the beautiful narration of opera star Jennifer Larmore and the elegant flute artistry of Natalie Schwaabe. Let Kim Maerkl's magical tale and original music take you on a fascinating listening experience. Author Biography: Kim Maerkl was born in 1961 in Cleveland, Ohio. She is an author, composer, and producer. Her works have been performed in concert halls and theaters throughout Europe and released by publishers in America, Germany and Switzerland. She is a Fulbright scholar. Narrator Biography: Jennifer Larmore has performed at virtually every major opera house, including the Metropolitan Opera, La Scala and London Covent Garden. Her vast discography of over one hundred CDs has garnered seven Grammy nominations and two awards. She has given recitals and masterclasses around the world.